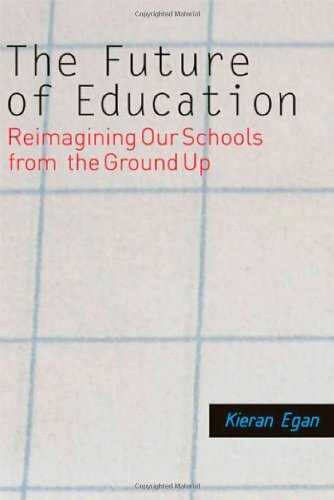 This engaging book presents a frontal attack on current forms of schooling and a radical rethinking of the whole education process. Kieran Egan, a prize-winning scholar and innovative thinker, does not rail against teachers, administrators, or politicians for the failures of the school. Instead he argues that education today is built on a set of mutually exclusive goals that are destined to defeat our best efforts. Egan explores the three big ideas and aims of educationâacademic, social, and developmental growthâand exposes their flaws and fundamental incompatibility. He then proposes and describes a process called Imaginative Education that would dramatically change teaching and curriculum while delivering the skills and understanding that we all want our children to acquire. His speculative narrative of education from 2010 to 2060âexecuted with wit and verveâshows how we might very well get there from here. About: This engaging book presents a frontal attack on current forms of schooling and a radical rethinking of the whole education process.